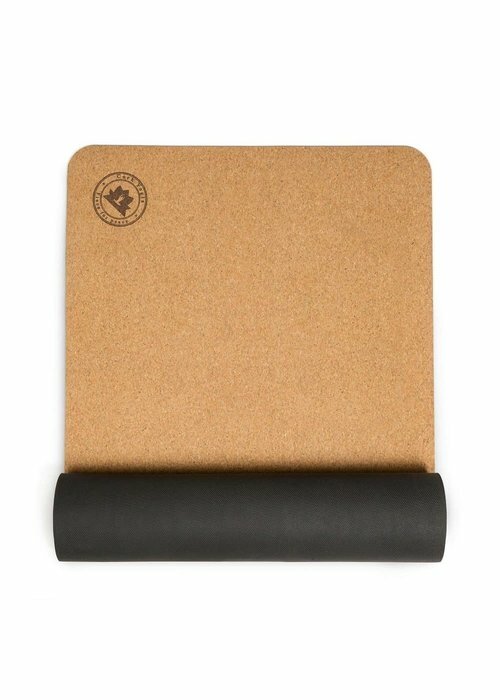 This yogamat is made from cork with a bottom layer of rubber. Cork is a sturdy, wear-resistant material that becomes more grippy when damp or wet. 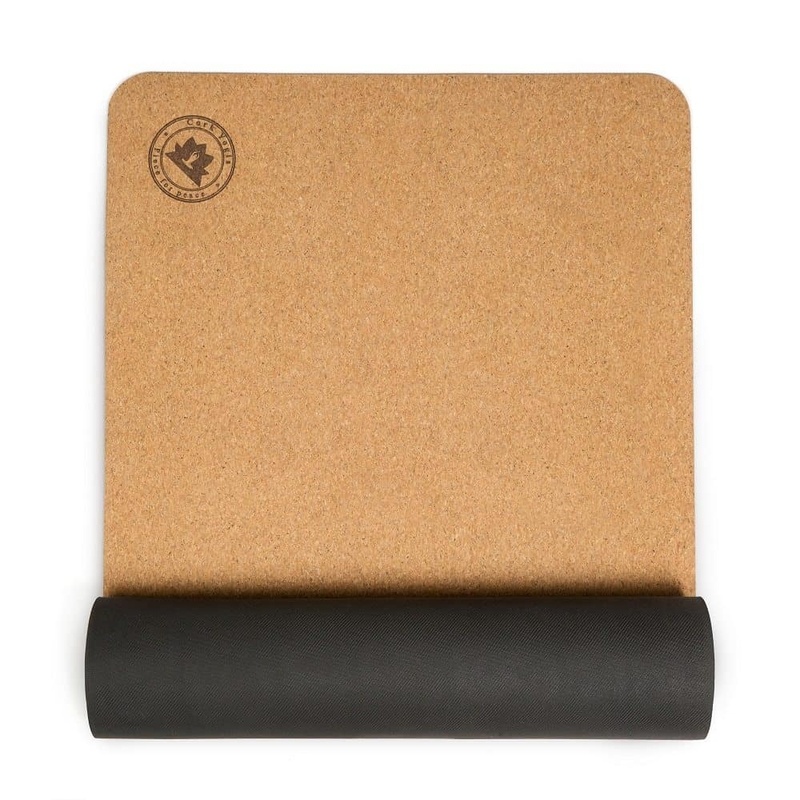 Perfect for a sweaty yoga class!